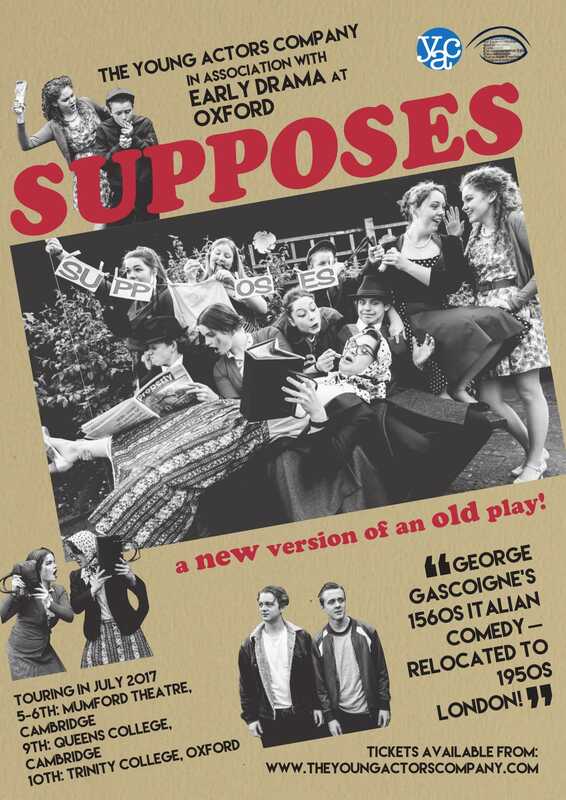 Our next performance is a version of George Gascoigne’s 1560s Italian comedy “Supposes” set in 1950s London. For dates and ticket information, see the poster below. This entry was posted in Uncategorized on June 21, 2017 by James McBain. We have been busy publishing some of the fruits of our EDOX research. Here are a few of our print publications: online editions and further films coming soon…. 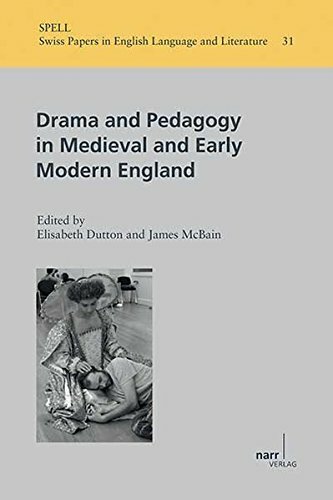 Drama and Pedagogy in Medieval and Early Modern England, Swiss Papers in English Language and Literature vol. 31 ed. Elisabeth Dutton and James McBain (Tübingen: Narr, 2015). This volume draws on the conference of the same name hosted at the University of Fribourg, and includes an essay by our own Stephanie Allen: Ulysses Redux (1591) and Nero (1601): tragedia nova. 131-58. Elisabeth Dutton and James McBain, ‘Fart for Fart’s Sake: Fooling through the Body in Grobiana’s Nuptials, Theta XII, Théâtre Tudor (2016) 149-70. Elisabeth Dutton, ‘ “My boy shall knowe himself from other men”: active spectating, annunciation and the St John’s College Narcissus’, Medieval English Theatre 36 (2017) 68-83. This entry was posted in Uncategorized on June 9, 2017 by James McBain. From this week, in 1566, we bring you news of a “totering…tipling” President! This entry was posted in Uncategorized on October 17, 2015 by James McBain. The EDOX project is delighted to launch its latest film, developed from the ‘Performing Dido‘ event at Christ Church, Oxford. 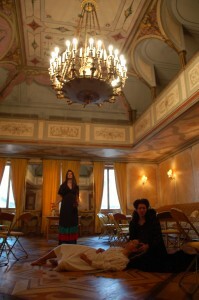 Directed by Maria Sachiko Cecire, the film features background information about the plays and their staging as well as footage from both the productions and rehearsals. The film can be viewed here. In addition to the virtual launch of the film, we will shortly be releasing details of a collaborative event at the Ashmolean Museum, Oxford, at which the film will be officially presented and discussed. Please follow our website and twitter feed for announcements in due course. This entry was posted in News - EDOX publications! on February 21, 2015 by James McBain. 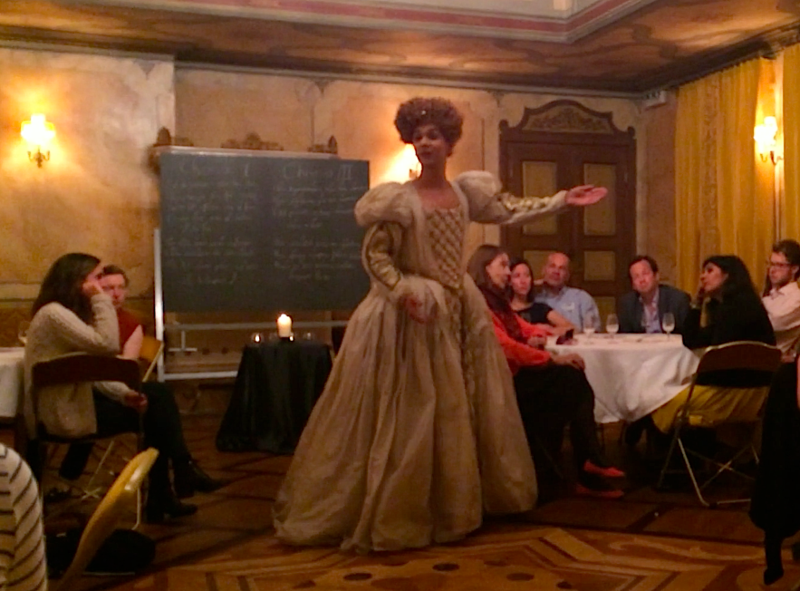 EDOX researchers Elisabeth Dutton and James McBain were invited to speak at the XIVth Tudor Theatre Round Table, held on the 3-4 September at the Centre d’études supérieures de la Renaissance in Tours. 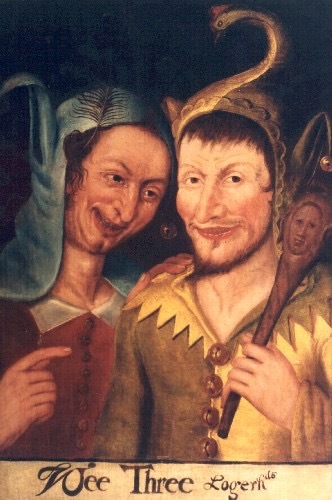 Wee Three Loggerheads, c. 1600-25. Young Charles May presented us with a mock-shew on Saturday last, ye subject was slovenrie it selfe, ye marriage of Grobian’s daughter to Tantoblin; but ye cariadg and acting soe hansom and cleane, that I was not better pleased with a merriment these many yeares. As one might expect from Baylie’s brief description, and indeed from its engagement with the pan-European tradition of Grobianism, the play contains more than its fair share of scatological and ‘uncivil’ humour. 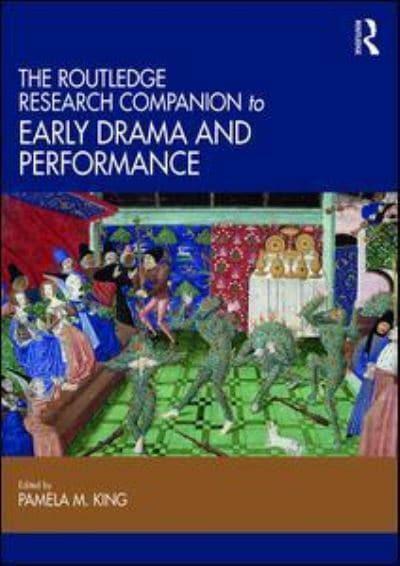 But, as the EDOX paper argued, it is simultaneously an extremely clever and inventive work that develops references to a wide range of intertexts, drawn from professional theatre and popular literature as well as more conventional scholarly material.# Above all, Grobiana’s Nuptials is insistently metatheatrical, considering what it is to perform whilst delighting in playing, and it therefore deserves to be considered alongside more familiar defences of the value of academic drama. Little is known about Charles May, other than some details of his family and that he matriculated on 4 July 1634 aged 15 and then took his BA in 1638. The play, complete with its extensive references, is all the more impressive as the sole extant work of an Oxford undergraduate. 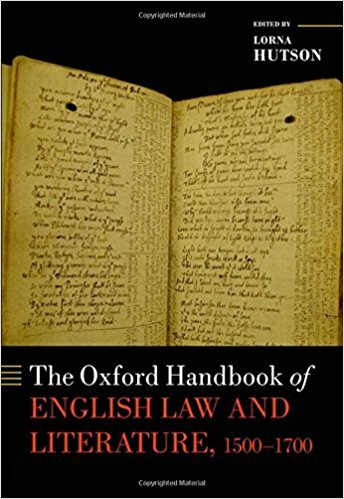 The full research will be published in a forthcoming volume of essays, edited by Professor Richard Hillman. # Visitors directed here via our Twitter feed might well have recognised that the quoted line from Tantoblin’s soliloquy, “Is shitten come shites the beginninge of love?”, is developed from a proverb – a category of reference that spans both learned and popular sources. Incidentally, in a diary entry of 17 April 1661, Samuel Pepys records how he met with Mr Allen of Chatham at the Mitre and “did get of him the song that pleased me so well there the other day, ‘Of Shitten come Shites the beginning of love’”. Pepys might well be referring here to a ballad later printed as “The Youngman’s careless wooing…All done out of old English Proverbs”, and so Tantoblin’s line might also be derived from popular song. REED: Oxford, 1, p. 556. This entry was posted in Uncategorized on January 23, 2015 by James McBain. We are delighted to announce that Stephanie Allen has joined EDOX. Prior to taking up a doctoral post at Fribourg, where she will be supervised by Prof. Elisabeth Dutton, Stephanie read Classics and English at Oxford and subsequently gained an MSt in Early Modern English, with a thesis on Oxford Academic Drama. Further information about Stephanie’s research interests and contact details can be found here. Due to the generous support of the Swiss National Foundation for Research, we are delighted to announce that James McBain has also been appointed as a post-doctoral researcher at Fribourg University in order to pursue EDOX work. 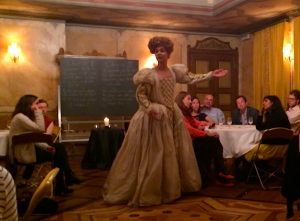 On September 12 – 13, the University of Fribourg hosted the Fourth SAMEMES (Swiss Association of Medieval and Early Modern Studies) International Conference on Drama and Pedagogy, an event which brought together an exceptional field of participants, including some of the leading scholars in the field: plenary lectures were given by Professor Lynn Enterline (Vanderbilt), Professor Alan H. Nelson (UCLA, Berkeley), Professor Michelle O’Callaghan (Reading), and Mr Perry Mills (King Edward’s School, Stratford). The fifth keynote speaker, Professor John McGavin (Southampton), was sadly unable to attend the conference in person, but his paper was superbly delivered by Professor Margaret Bridges. Elisabeth Dutton and James McBain are currently editing a volume of essays developed from selected papers at the conference. The work will be published by Gunter Narr in 2015 as a guest issue of the refereed journal, Swiss Papers in English Language and Literature (SPELL). This entry was posted in News - EDOX publications! on November 18, 2014 by James McBain.